One of my lifelong friends Chris moved to Washington state twenty-three years ago. 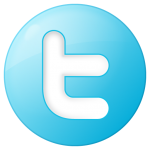 Over the years, we did not communicate a lot. I believe that Chris only made it back to Minnesota five or six times during that time, but we did manage to make time to see each other when he was home. You can always tell how good a friend is, even if you don’t see or talk over great lengths of time and then every time we saw each other we picked things up right where we had left them. This past spring he made the decision to move back to Minnesota as he was missing “home”. Dave (who is also my good friend and Chris’ brother) along with is girlfriend Heather recently moved to a different home in Bethel. The house has a large upstairs and they determined that it was a great place for Chris to move in; so he started planning his move. He had a place in Washington and had a lot of things. He was originally going to move back in late June however, things did not work out as planned. His father and stepmom were making a trip to Washington to see family recently so they decided to help Chris make the move back to Minnesota. The journey home started the week prior to labor day. They left Washington with a pickup pulling a trailer, as well as a van with a trailer, and a car. Unfortunately about 80 miles out-of-town the pickup motor seized up and a day later the pickup and trailer were traded for the two back tires. All of the contents were then packed into 26 foot a U-Haul van. They had all been hoping to arrive in Bethel by Saturday dinner time, but they encountered even more bad luck just south of town when there was yet another flat tire! By this time, it was getting dark and the unfortunate luck continued as they got lost. There were dropped cell phone calls and roughly three hours later they finally made it, but were short Chris’ van and it’s trailer. If you can believe it, he encountered yet another flat tire and this part of the convoy was left in a gas station parking lot close by until the next day when it could be repaired. What a journey! Chris had a total of five flat tires on that trip! I think he has reached his flat tire quota for some time. Throughout the three-day weekend, we consumed many bottles of wine. Great friends and good wine (as my motto states) go hand in hand. Here are just a few of the wines we drank. The red blend had a nice deep depth with a garnet hue. The Rubicano was very aromatic, youth-full and fruity. We noted oak, vanilla, caramel, and cherry. My initial taste was dry but over time the red wine became soft. It was full-bodied and the acidity was just right. 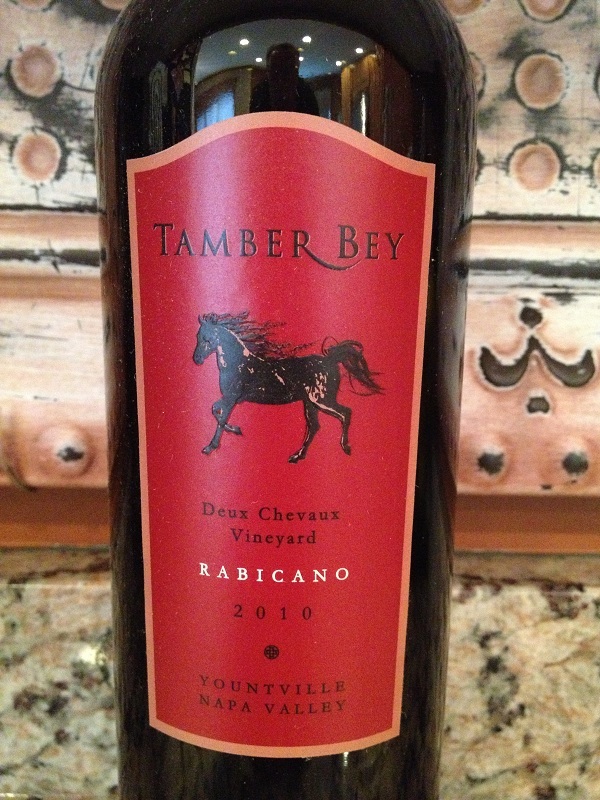 The tannin’s were medium and slightly astringent and could be felt in the back of my palate. I could not identify any distinct fruit but it was very flavorful. This wine should have been decanted as it was still a little tight. The blend is 63% Cabernet Sauvignon, 29% Merlot, 4% Cabernet Franc, and 4% Petite Verdot. We had “Winer’s” night at Dave’s on the same evening that Chris arrived that had begun with a Chardonnay. 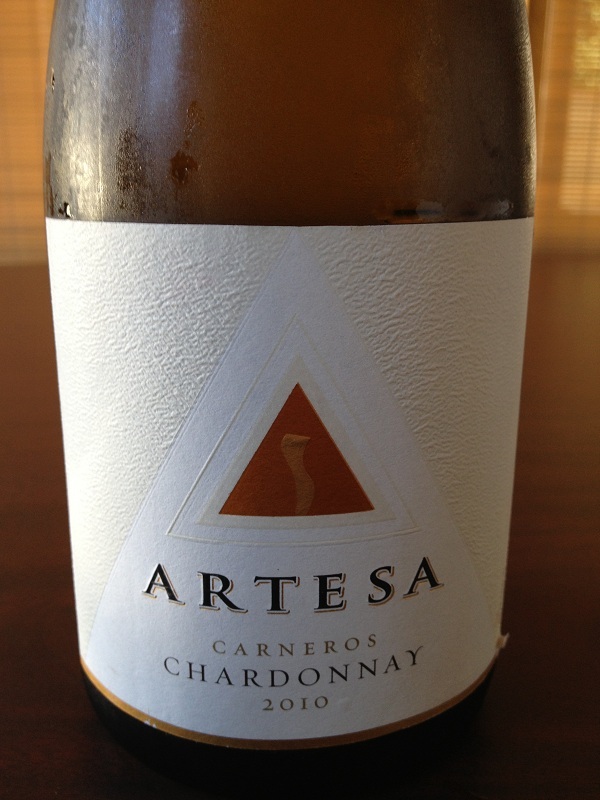 2010 Artesa Chardonnay from Carneros AVA- Three glasses. Pale color depth with an amber hue. You can see the wine was slightly cold. The Chardonnay was very aromatic considering it had been in the refrigerator. We noted pears, apple, melon. It was slight buttery but crisp. Slightly sweet and full-bodied and I thought the Chardonnay was a little flabby. I am sure the acidity would have been just right if it had been a bit warmer. 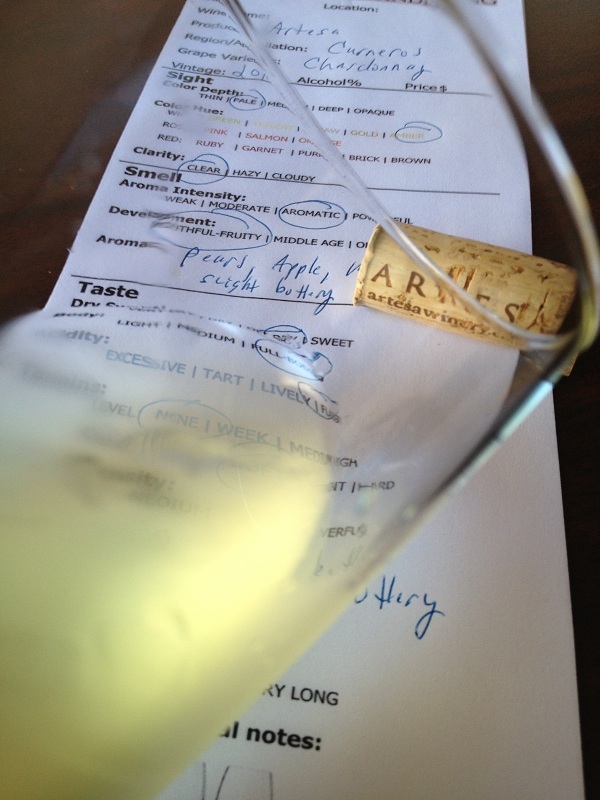 Even though it was slightly cool the Chardonnay was flavorful and crisp. There were no dominant flavors and the finish was long. The night prior to Chris’s arrival the girls prepared Fajitas for dinner and I wanted to pair the meal with a nice Zinfandel. I had a the perfect bottle that night. 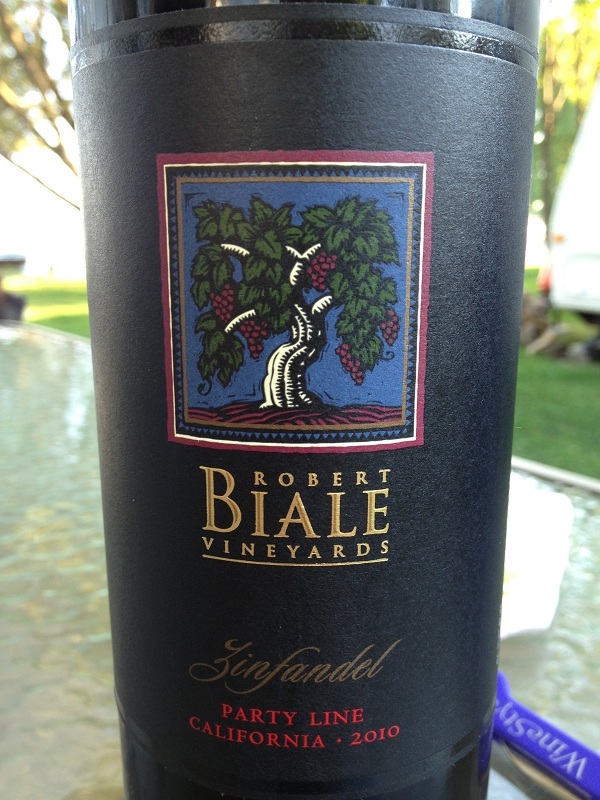 There is a great story about the Party Line Zinfandel and the first time I heard the story was by Mark, Robert Biale’s brother. Years back their father Aldo was making wine and people in the country used to share telephone lines. It was common to pick up your phone and have a neighbor talking about it already. Customers used to call Aldo and order eggs and a few “Black Chickens”. Black Chickens were actually the secret code for Aldo, signaling him to include bottles of his Zinfandel wine. The Black Chicken Zinfandel remains a well-known wine from the Estate. 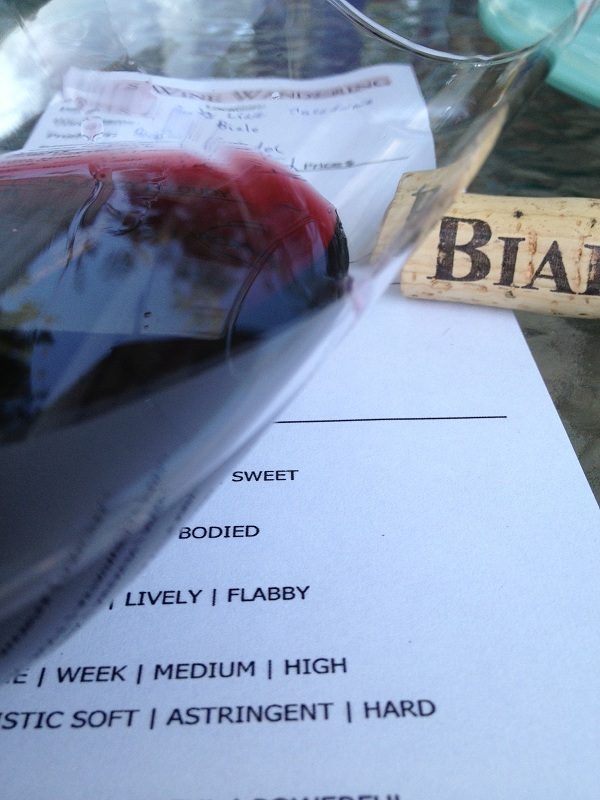 2010 Robert Biale Party Line Zinfandel – Three plus glasses. The Zinfandel was deep and had a purple hue. Pouring and trying the wine outside was great. Even though we were outdoors, the Zinfandel was aromatic and smelled youth-full and fruity. We could smell spice and ripe fruit. The Zinfandel was dry and full-bodied. The acidity was right on, my mouth watered with every sip. 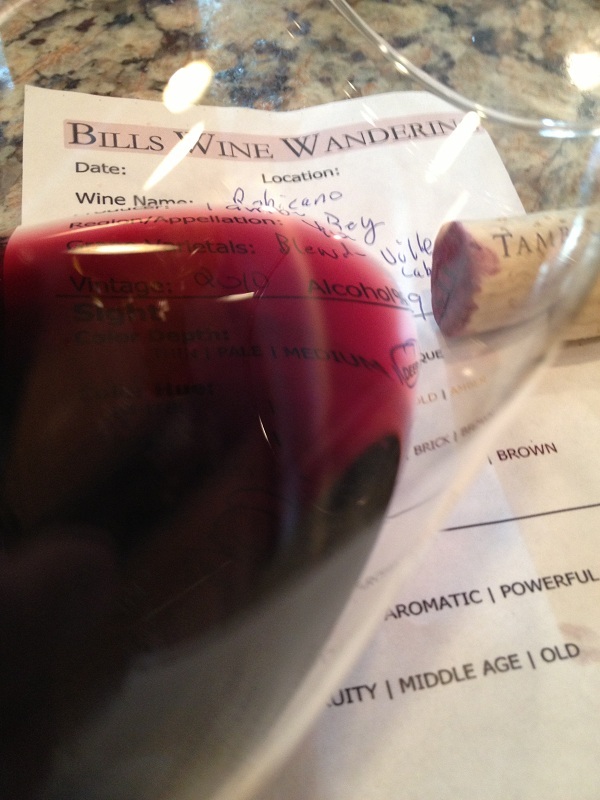 The tannins were medium and soft while we noted spice, pepper, and dark fruit. The finish was long and flavorful. The Party Line Zinfandel paired will with the Fajitas. The spicy food with the Zinfandel was great. The spices enhanced each other.